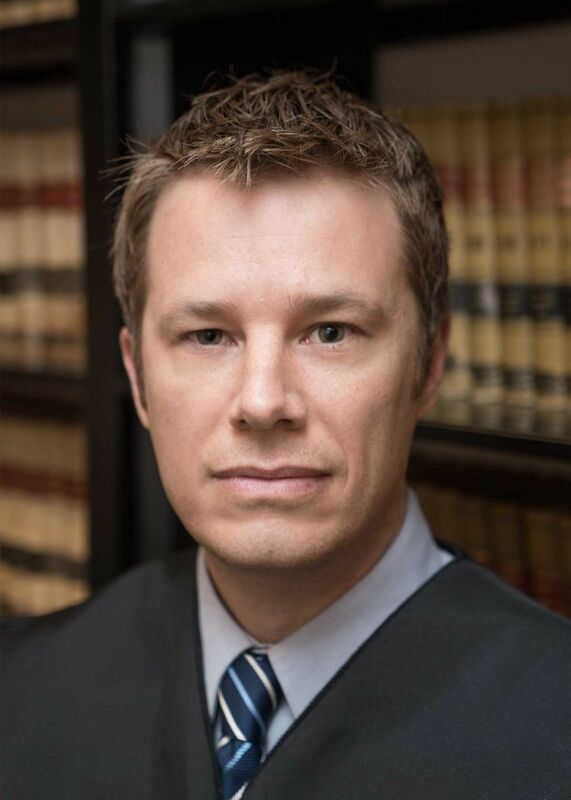 Judge Joshua B. Lehman was appointed to the 8th Judicial County Court bench by Governor John W. Hickenlooper on April 14, 2014. Before he was appointed to the bench, Judge Lehman served nearly ten years as a deputy district attorney in Fort Collins. Prior to his time in the DA’s Office, Judge Lehman represented Federal Employees in appeals of adverse employment actions and discrimination claims. Judge Lehman received his bachelor’s degree in Administration of Justice from the University of Wyoming in 1998, and his Juris Doctorate from the Wyoming College of Law in 2001. He was admitted to the Colorado Bar in 2001.